This was my 1st order From aqua essential & definitely will not be my last. Being a novice to aquarium life and aquaessentials, I can only say the service, quality and delivery is absolutely excellent, I have chosen plants on wood and stone to give me a good start, they come in excellent condition and very securely packaged....there are a few items out of stock for a while, which I assume is down to growing time but I will look forward to them when back in stock. I haven't spoken to any of the team yet but I feel I can if needed.....good old fashioned service not seen much nowadays! This was my first experience with Aqua Essentials and I can say I will be a return customer. I Like the web page (it is logically laid out an easy to navigate), I like their selection (there seems to be plenty to choose from). I enjoyed shopping at Aqua Essentials. It shows when something is done with love and effort (it does make a difference!). Well done and keep it up. This is a great website,great tips in my email everyday,bought plants from here,great condition and packaged and delivery very well. Great plants in excellent condition, promptly dispatched, what more can you ask for. Will definately use aquaessentials again. 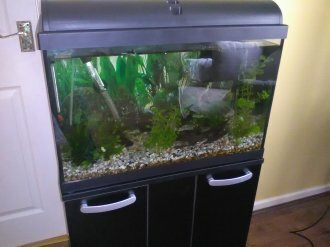 My son has just started keeping cold water fish, so bought some plants, they arrived in superb condition well within time stated. Also have been getting weekly advice/tips emails which have proved invaluable in getting started and setting up the aquarium. would recommend the website to anyone who is contemplating keeping fish of any kind. After a year keeping an Aquarium during which time I have bought unknowningly plants with snails eggs attached (infest of snails,emptied Aquarium and started again) plants with algae and some plants which were poor and died the algae persisted after trying every thing,that is till I found Aqua Essentials. I bought some plants to start with and then began to receive useful tips on plant maintenance and algae control from Richard Cane. My Aquarium is now improving with plants beginning to look good and the algae almost gone. I have bought more plants and plant food etc. My orders were dispatched quickly and were well packed and insulated. I would recommend Aqua Essentials to any one with an aquarium or starting fish keeping. Thank you Richard Cale and Aqua Essentials. I have placed multiple orders on aquarium plants and have been very satified with the delivery, quality and condition. The information for each plant, lighting, ferts and co2 requirements, water temperature, positioning, size, is very good to help choose the right plant which is crucial to its success. I have purchased plants from stores that are labelled supposed 'easy' care but have found they deteriorated quickly due to them actually being mid to advanced care/requirements meaning high light and usually co2 injection required. Would recommend aqua essentials and will continue to buy from them in the future. Good job.